NOENEMIES is, without question, Flobots’ most ambitious and sophisticated statement to date - both lyrically and musically. Funded entirely by a Kickstarter campaign that garnered $31,000 over its goal, the music on NOENEMIES is undeniably Flobots music, but it’s also assuredly music made by artists who have matured and expanded their horizons. 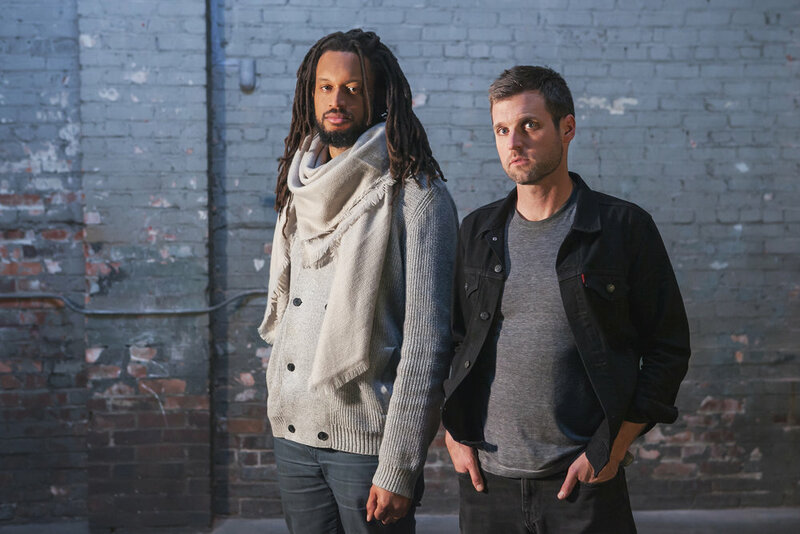 For the recording of NOENEMIES, Flobots’ core trio - emcee’s Brer Rabbit (Stephen Brackett) and Jonny 5 (Jamie Laurie) and drummer Kenny Ortiz - enlisted the help of trusted musical friends to bring their vision of the album into reality. Musician/Producer Gabriel Otto worked intimately with the band to craft a distinct sonic landscape, recruiting a string section, horn players, and a gospel quintet to layer recurring motifs over the band’s signature grooves. They teamed up with founding Flobot Mackenzie Gault (viola) and longtime musical collaborator Serafin Sanchez (saxophone, keys) to co-write a number of songs. The band incorporated voices, melodies, and words from throughout their collaborations - both on and off stage - into the songs on NOENEMIES. Preorder the album on CD and vinyl now at www.flobots.com. The first official single from NOENEMIES, “Carousel,” will be released on digital platforms worldwide on April 7.